"Synchronous thermal imaging", S. Grauby, B.Brondin, C.Boué, B.C. Forget ,and D.Fournier, REE, a paraitre (03/99). "Heterodyne photothermal imaging", S. Grauby, B.C. Forget , and D.Fournier,PEH 98, Rouen. "2 MHz modulated photothermal imaging using a CCD camera coupled to a multichannel lock-in detection", S. Grauby, B.C. 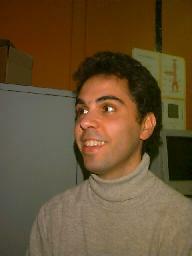 Forget , and D.Fournier, XICPPP, Rome 1998. "Synchronous thermal imaging", S. Grauby, B.Brondin, C.Boué, B.C. Forget ,and D.Fournier, C2I 98, Cachan.